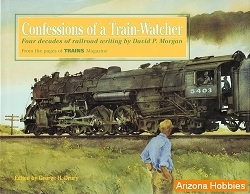 Larger than the second edition, this edition contains color maps and 40 color photographs of an outline history of North America's railroads. 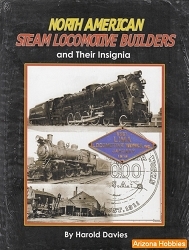 This book is not a complete history for each railroad, instead, each entry provides a capsule summary of the history of the railroad. Information includes when the railroad was chartered, where it ran, how it grew, when it was acquired (or acquired) other railroads, and whether it exists now or how it became part of another system. All of these entries together tell the story of how the North American rail system of today evolved. Kalmbach Publishing, softcover, 320 pages, 8.25 x 10.75 x .5 in., B&W and Color photographs and maps.